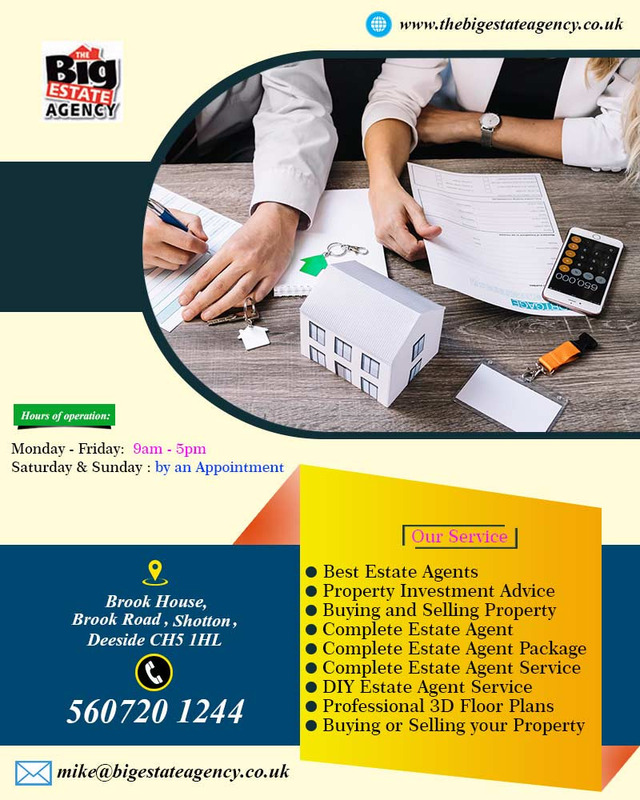 The Big Estate Agency has skilled, trained and qualified agents to help you in buying or selling of the property in Deeside, Flintshire and Shotton. Everyone knows that an estate agency works on the commission that they receive on a successful transaction. This company has a track record of delivering excellent solutions to their clients by helping them in making profitable deals. People who are looking for experienced and reliable professional may get in touch with this firm and seek help. Hire the best estate agents for property investment advice and avail favourable deal. Contact them for assistance! Method of Payments: Visa, Master, Cash, Checks, PayPal. Hours of operation: Monday - Friday: 9:00 AM - 5:00 PM. Saturday & Sunday by an Appointment.